Home > We Love Gaming > Xbox Community Gives Back! What do you get when a highly philanthropic gaming platform rallies around the charitable efforts of the gaming community? Well, you get the XBOX Gives Back community event! Xbox community manager are sharing their favorite charities during their regular, weekly streams. You can find stream and event information on the Xbox One Community Calendar app, or through Xbox.com. Donations are accepted from July 17th – July 23rd. 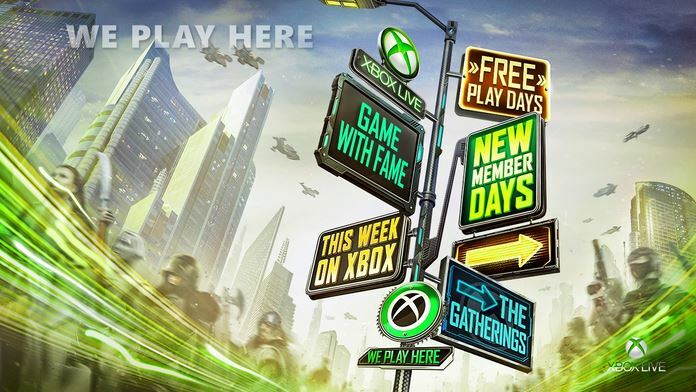 This awesome, week-long event will include daily promo activities like Game with Fame featuring special guests, livestream gameplay, giveaways & exclusive prizes! Charities that are supported by this event include: GameChanger, Crescent Moon Foundation, Block By Block, Gamers Outreach/Gamers For Giving, St. Jude, Cystic Fibrosis Foundation, ASPCA, Susan G Komen Foundation, Autism Speaks. – Donate $7.50 to receive 1 Month Xbox Live Gold (limited # of copies). – Donate $15 for 1 entry into GameChanger’s Prize Package drawing & a chance to win over $1,000 of Xbox prizes including: EXCLUSIVE Halo 5 Military Duffel, Xbox One console, 5 games, special edition hardware & swag! – Donate $60 to receive a GameChanger Swag pack (limited to 100). – MANY more prizes to be announced….!! Don’t wait another minute. Get involved now! – Donate to win prizes, digital codes & more! – Watch livestreams & gameplay throughout the week – click here to check out the full calendar of events! – Join GameChanger’s giveaway & spread the word for a chance to win the official prize!